Switching has made Britain’s energy market more competitive. 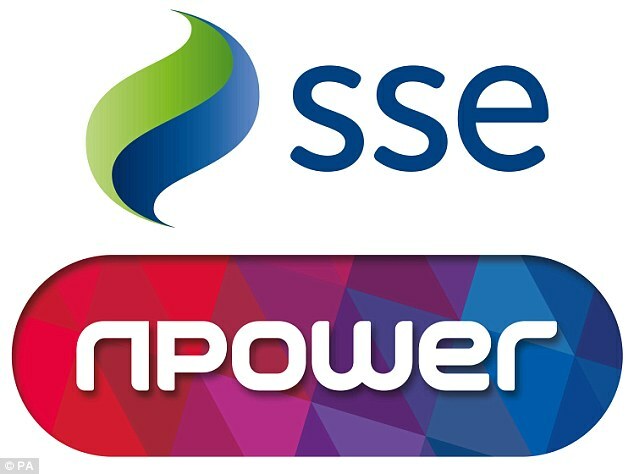 But it is hard to understand how a merger between the retail arm of Britain’s SSE and German controlled Npower, reducing the big six to the big five, is going to contribute to a better deal for consumers. Regulator the Competition & Markets Authority (CMA) has come up with gobbledegook about how little overlap there is between customers of the two on the standard variable tariff. Maybe, but creating a new behemoth with 23 per cent of the market, just behind the 27 per cent at British Gas, does not augur well. Big mergers take years to settle down, are focused on cost-cutting, and place ever more distance between the supplier and customer which leads to poorer service. What makes this CMA ruling even more obtuse is the ownership structure. SSE is the dominant investor in the enlarged supplier and intends to distribute stock to existing shareholders. But there is a second stage to the deal, which the CMA didn’t think worth of attention. If RWE, parent of Innogy/Npower, goes ahead with a complex asset swap with another big German utility Eon, then future ownership and control could be even more remote. The adverse impact of allowing control of UK energy suppliers to move overseas was demonstrated when RWE and Eon pulled out of the pledge to be investors in the Horizon project for new nuclear in the UK because Berlin went cold on nukes after the 2011 Fukushima disaster in Japan. The CMA has found that the number of people switching energy suppliers is the highest in a decade. This is obviously a good thing, as the slumping number of British Gas customers shows. But one suspects that there is a universe of older and less well-off consumers who will never switch in the same way that they don’t change their home and car insurance or bank accounts. There is suspicion about the durability of newcomers. Online transactions are often difficult and established players more trusted. The idea consumers should have new owners foisted upon them will also be uncomfortable. The CMA’s record on policing big takeovers is dodgy. Famously, it signed off on the mobile takeover by BT of EE, giving the former a dominant role in UK telecoms. At the same time the European Commission blocked a merger between O2 and Hutchison-controlled Three. O2 raised its game, has become a digital innovator and this week unveiled the most transparent and flexible pricing structure in the industry. Like-for-like mergers are too often the default position of unimaginative executives. There is much talk about Britain being a fintech leader. But potential UK champions come and go with extraordinary haste. Worldpay lost its status when it fell into the hands of US competitor Vantiv. Wonga promised to become the Facebook of payday lending and is heading for the knacker’s yard. Funding Circle, the crowd-funding platform which specialises in lending to small business, plans to float next month. One objective is to raise up to £300m to support growth in Germany and the US. It has grown by leaps and bounds under Samir Desai, speeded up borrowing for smaller enterprises and attracted funds from the UK government. Some analysts may question how its model will fare in recession. It has done some rigorous stress testing and believes it can cope if up to three times the current number of bad loans go wrong. A bigger question is: what happens when confidence is low and lenders/depositors all want their money back at the same time? The ambition of Funding Circle is admirable and lender-savers have enjoyed great returns. A concern must be that it will be taken out by Silicon Valley before it reaches its full potential. Plutocrat Paul Singer of Elliott is infamous for his legal pursuit of an investment in default Argentine bonds. There must be some rich pickings at present. Argentina’s bank rate has hit 60 per cent, the peso is in free fall and the yield on one-year bonds has widened to 29 per cent. An effort by Madame Lagarde of the IMF to come racing to the rescue has not gained traction so far. Yikes!